How to blunt sharp joints? 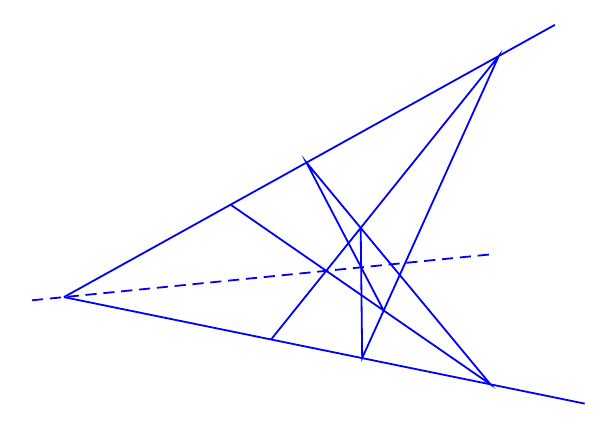 In the following figure we can see that the line joints are so sharp. How to make them blunt? How to adjust node labels of a triangle? How to draw incircle (inscribed circle)? How to delete unnecessary dot? How to cache a common varying node?